Develop a pediatric intensive care unit (PICU) from the ground up. Manage and train all staff, including specialists and senior specialists as well as nurses, respiratory therapists, and other ancillary supportive staff. Develop all new policies, guidelines, and protocols to guide patient flow and staff work flow. Provide pediatric services to children in the Columbus area as well as surrounding suburbs. Also, function as the medical director and practice manager. Provide critical care services to children in the ICU, including those who have undergone complex open-heart surgery, as well as other complex neurologic, gastrointestinal, and thoracic surgeries. Also, directed the extracorporeal membrane oxygenation (ECMO) program. Also, the medical director of the pediatric critical care nurse practitioner program. Develop a new pediatric hospitalist program and manage the scheduling and function of all included hospitalists. Firas Rabi, volunteer activity with the Issa Trust Foundation. Providing free pediatric care to impoverished areas in Jamaica. 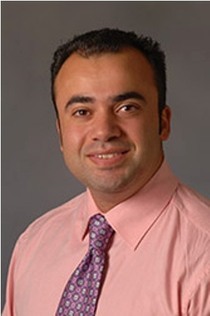 Firas Rabi is American board-certified in pediatrics and fellowship-trained in pediatric critical care medicine. Currently practices in Dubai, UAE. After receiving training in New York and Iowa City, Firas Rabi has built a career in managing complex pediatric conditions, developing medical business plans and process efficiency improvement.